If you need an eTest in Kitchener, read on to discover where to take it and what you need to know about Ontario’s Drive Clean program as significant changes are set to come in 2019. Know that you can trust Hansma Automotive to get the job done - we perform efficient and accurate Drive Clean tests in order to keep your vehicle on the road and keep our environment clean. Contact the experts at Hansma today! The eTest must be performed at an accredited facility by a certified inspector. These private operators run the test and provide you with a test report. 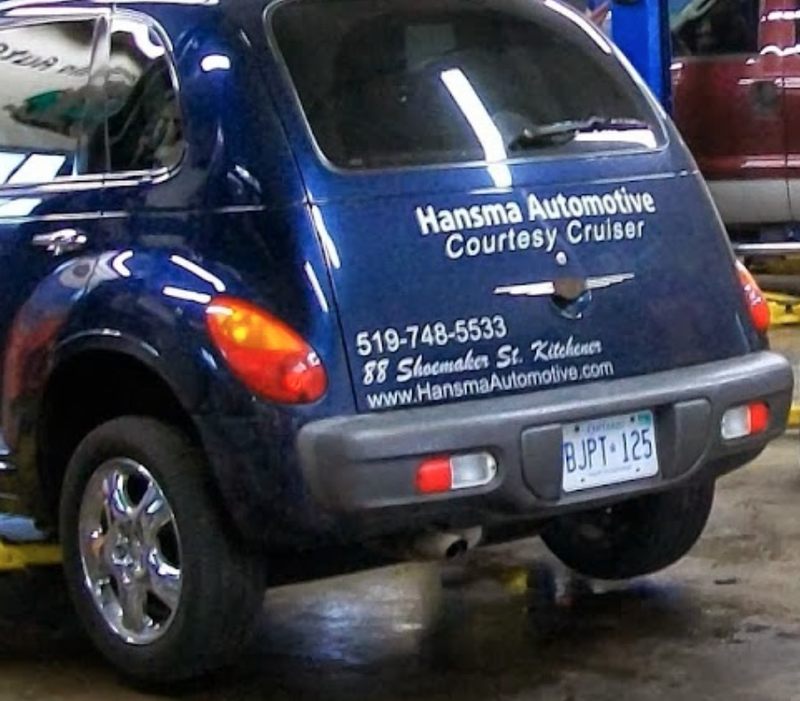 If you live in the Kitchener-Waterloo area, you can book an appointment with Hansma Automotive today. You can also use the Find a Drive Clean Facility form to find an operator closer to your home. Look for an eTest facility that features the official Drive Clean logo. According to Ontario’s Drive Clean program, if your passenger vehicle is seven years or older, it needs to pass an emissions test (eTest) before you can renew your registration and licence plate stickers. The purpose of this test is to reduce air pollution by ensuring that vehicles that produce an unacceptable amount of emissions are not allowed on the road. Changes are coming to Ontario’s Drive Clean program, but you’re still required to get an eTest in the meantime. You will receive a pre-test check rejection form if the vehicle cannot be tested. You will need to return for the test once any required repairs are made. Next, the inspector will take a look at your vehicle’s on-board computer to identify emissions problems. If your vehicle doesn’t have an onboard computer, a tailpipe test will be done to measure emissions. If your vehicle fails, you will need to get the necessary repairs completed - if possible - before it can be certified. If your vehicle doesn’t have an on-board computer, a tailpipe test will be conducted to assess emissions. In terms of cost, here’s how much you can expect to pay for the eTest in Kitchener, for example. Effective April 1, 2019, you will no longer be required to get an eTest for your passenger vehicles. This decision was made because while Drive Clean effectively reduced vehicle pollution, auto industry standards have significantly improved since it was was instituted in 1999, making the program no longer a necessity. A new, enhanced program will focus more on the biggest polluting vehicles like commercial transport trucks, and will ensure that Ontario continues to lead Canada in reducing harmful smog-causing pollutants. If you need an eTest between today and April 1, 2019, book an appointment with Hansma Automotive. The purpose of the eTest has been to reduce air pollution by ensuring that vehicles that produce an unacceptable amount of emissions are not allowed on the road. Trust Hansma Automotive With Your eTest, Kitchener! Hansma Automotive is located in Kitchener and regularly performs efficient and accurate Drive Clean tests in order to keep your vehicle on the road and to keep our air clean. If your vehicle needs an eTest, contact us today to book yours. A well-maintained vehicle can help you avoid costly repairs and reduce pollution. It is important to follow the maintenance schedules outlined by your vehicle's manufacturer. If your check engine light comes on, have your vehicle looked at by a qualified mechanic as soon as possible. Posted on February 1, 2019 by Hansma Marketing.